The devastating earthquake in Nepal in April of this year claimed lives and homes. It had a significant psychological and emotional effect on the people of Nepal. In the weeks following the earthquake, many people were in a state of shock, terrified of more aftershocks and afraid to enter their damaged homes to retrieve food or any belongings for fear of collapse. In this traumatized state, many farmers were not cultivating their land. This created a risk that the farming season would be missed. If that happened, it would be devastating. To prevent a poor harvest and potential economic catastrophe, iDE Canada donors and the Manitoba Council for International Cooperation, committed funding for an agriculture recovery program to help farm families get seeds into the ground. The intent is to minimize the disruption to the farming season so that when it comes time for harvest, farmers will have crops. 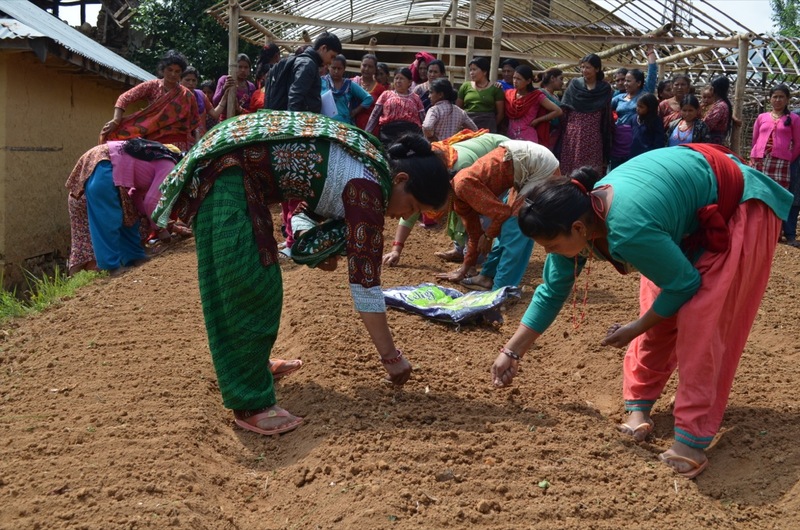 Our team in Nepal has begun connecting farm families to seeds and seedlings. As well, they have helped local farmers establish eight nurseries. All in all, this will go a long way to minimizing the devastation of the earthquake and ensuring that local people are using local solutions to solve local problems.